Away from the scorching heat of Chennai, Bangalore feels like heaven to me. While in Chennai, I just prepared some usual fare of rice and vegetables and would try to come out of the kitchen as soon as possible. I am not at all a rice person, given an option I would definitely go for roti subzi. But due to the heat in Chennai, I did not venture into making rotis. Now that I am in Bangalore, and the weather here is so much better than that of Chennai, decided to make some hot rotis and subzi. Having decided that roti, it was for lunch, finalizing a subzi is not an easy job. While rummaging through my mom’s refrigerator, I found a bag of fresh Okra/Lady’s Finger/Bhindi. Now this particular veggie is a favorite with my kids. 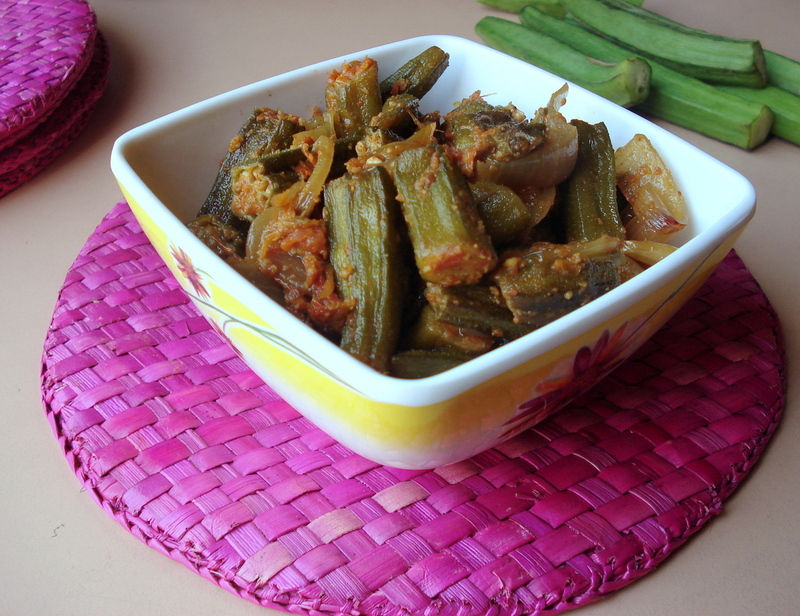 So decided to make this tasty restaurant style dish – Bhindi Do Pyaaza. 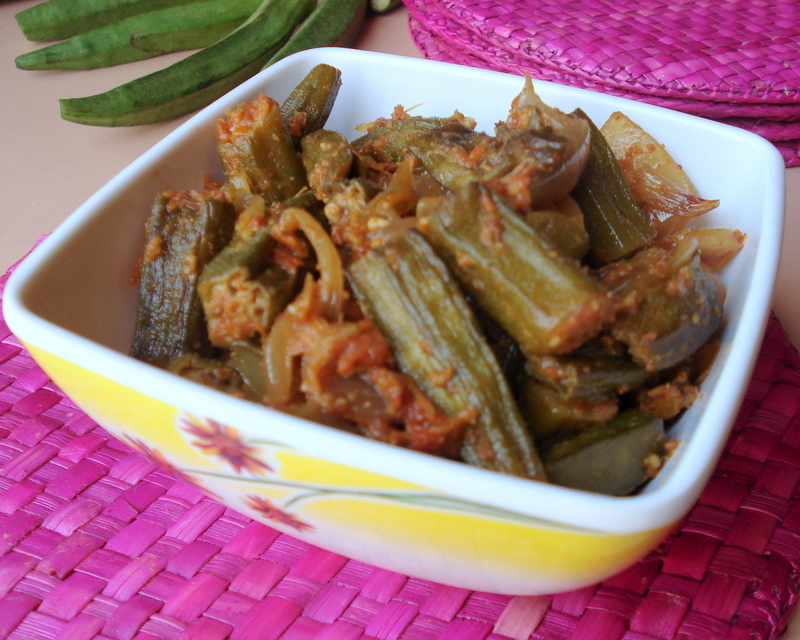 Bhindi Do Pyaaza is a dry preparation, of crisp stir fried okra with spicy and tangy semi dry gravy of onions and tomatoes. 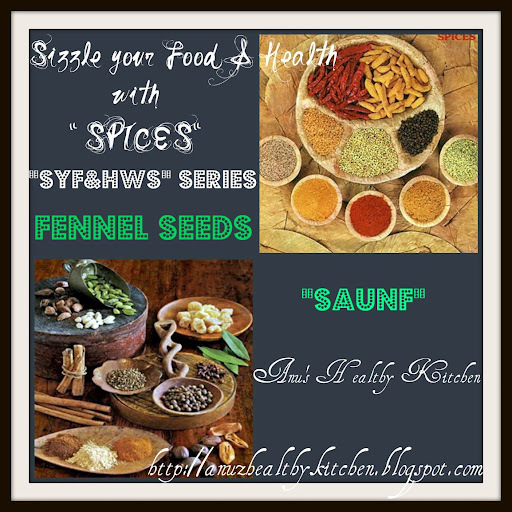 The addition of the spice powder gives it a wonderful flavor and aroma. Tastes best when served with some hot phulkas and pickle. Powder the ingredients for the spice powder and keep aside. Wash and wipe the lady’s finger. Cut into 1 inch pieces. Heat a Kadai with oil. Add the Lady’s finger cover and cook on medium flame for about 10 minutes or till the vegetable is cooked. Remove lid, add salt and fry for another 4 to 5 minutes or till the lady’s finger turns crisp. Transfer these into another vessel and keep aside. Heat another kadai with oil. 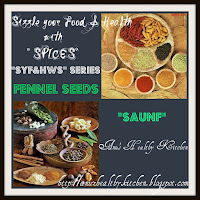 Add cumin seeds, once the color changes add sliced onions and the onion chunks and turmeric powder. Fry till the onions are light brown. Next add the finely chopped tomatoes and fry till the tomatoes turn completely mushy and the raw smell disappears. Now add the chilly powder and salt. Mix well. Add the fried lady’s finger pieces and mix well. Finally add the spice powder and give a good mix taking care not to break the lady’s finger pieces. Fry for a minute. Remove from heat. That’s it, yummy and delicious Bhindi Do Pyaaza is ready. Serve as an accompaniment with rotis. Super flavourful bhindi do pyaaza, love with a bowl of rice. Bhindi is a favorite in my house too, this curry looks delicious..
My all time fav.love the subzi. Looks so delicious.I could eat the whole bowlful. Healthy n delicious bhindi do pyaza,yummy!! 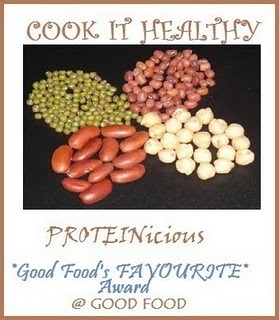 Flavorful and yummy,love the recipe,thanks for sharing..
quick n yummy preparation...love it! 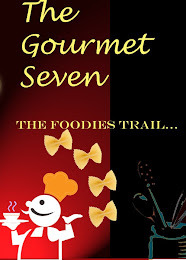 great with rotis...will try this soon!! Looks great Kaveri, I love bhindi and can have this as a main dish itself. Looks perfect. I love okra in my curries. Favorite veggie Kaveri :). Looks yummy and thx for linking. Inviting curry !! looks so tasty !! Looks yummy.. wish to taste it..